The 2018 midterm elections saw ballots with the potential to shake up the country. 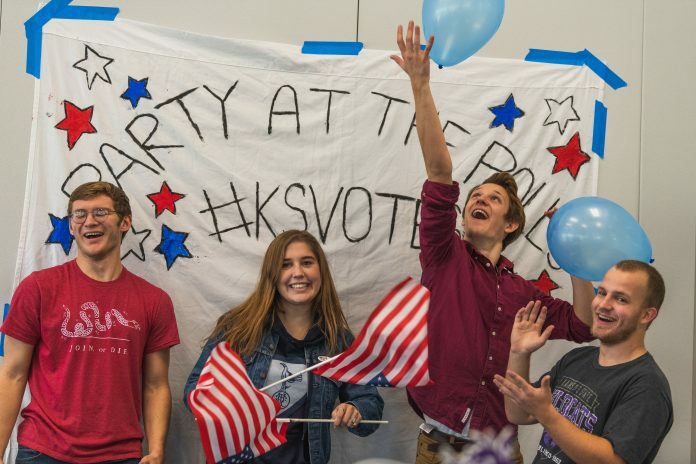 The Kansas State Student Government Association worked with the KSU Student Foundation to create the first-ever Party at the Polls. The event was hosted at the KSU Foundation building, which is across the street from the Denison Fire House, a polling place for some K-State Students. There was free food, live entertainment and games from 11 a.m. to 4 p.m.
Spellman said though this is the first time she has seen K-State do something like this, she hopes the tradition continues. On the Spot Improv performed and played games involving political trivia — all part of the celebration on Election Day. Rajat Kodira, junior in industrial engineering, said he believed the event was about bringing the university together for a cause — to encourage voting. 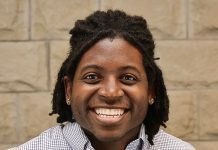 Lane Coberly, senior in political science associated with the student foundation, said the funding was provided by a grant of $1,000, which paid for food and entertainment. Ethan Kallenberger, junior in medical biochemistry associated with the student foundation, said they hoped food and treats helped bring people out to the party, and gave others a reason to vote.